Sherrie Scraps with passion: Merry Christmas~gift card holders AND a giveway!!! Merry Christmas~gift card holders AND a giveway!!! Hi Everyone! Hope your having a wonderful day! With Christmas quickly approaching, I am always looking for cute ideas for gift card giving. I have some people on my list that are hard to buy for- so, when that happens....I go for a gift card. Can't go wrong there, ha? I made these adorable gift card holders using My Creative Time Embossed Gift Card Holder Die. I LOVE this die!! You best go check it out because you will absolutely love it and want to order it or at least put it on your Christmas wish list. It is so fun and you can make one for ANY occasion. Check it out HERE. The snowman was cut from the Holly Jolly cartridge at 3" I cut a small mat behind the snowman and embossed it with the cuttlebug snowflakes folder. I added cute little google eyes and polka dot ribbon. The elf was also cut also from the Holly Jolly cartridge at 3". I cut the small mat behind the elf and embossed it with the sizzix diamond folder. I added a little stickles on the string of lights and a little brown ribbon to finish it up. It's been awhile since I have had a giveaway, so let's make someones Christmas a little special by having one:) How about the Winter Frolic cartridge?? This is right at the top of my favorite's list..... good luck!! 1.) Become a follower or Subscribe through email~leave me a comment letting me know along with a way to reach you if you should win. 2.) Post my giveaway on your sidebar and come back and let me know you did. 3.) 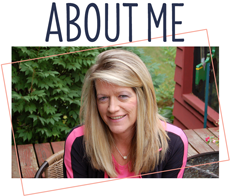 XTRA chance: spread the word-"post" about my blog candy/giveaway and leave a link to my blog. Be sure to come back and let me know. Your projects are just adorable as always! I have posted your giveaway in my sidebar, thanks for the chance to win! Super cute gift card holders!!! I LOVE this die. You did an awesome job as always. I have your giveaway posted on my sidebar. Thanks for the chance to win. I have posted your giveaway on my sidebar! I have posted a link on my FB page also! I LOVE you gift card holders! Posted your blog candy on my sidebar. Posted your blog candy on my blog. adorable cards. i'm a long time follower. thanks for the chance to win. Hi Sherrie! wow what a great giveaway! this is on the very top of my christmas list! Thanks for the chance to win! I am already a follower and have posted your giveaway on my side bar! Hello again! just popped back to let you know that i also posted your giveaway on my blog! Thanks again and Merry Christmas! Like the creations. I have the Winter Frolic cartridge and whoever wins will enjoy the great giveaway. I am also a follower and subscriber. I am really trying to post this on my side bar but it isn't working right know, keeps showing error, I will post as soon as it will let me, off to type up a post about your giveaway!! I posted about it on my blog!! Still can't get it on my side bar but as soon as it lets me it will be there! Super cute gift card holders--what a great idea! Oh, I don't have this cart! I am already a follower, off to post the candy! Love the gift card holders. So cute!! Sherrie, these are so cute!!! I love the paper and the embossing as always it's perfect!!! What a great giveaway, you are so sweet!! Great giveaway Sherrie. Someone is going to be really lucky. I've am already a follower of your great blog. Thanks so much for the chance to win Im a follower!! Such cute gift card holders!!!! Super, super giveaway!!! will keep my fingers crossed. I posted about your awesome giveaway too!!! Thanks so much Sherrie for such a fun cartridge to get a chance to win!!!! Awesome gc holders Sherrie. I just love that die. Hey Sherrie I put your candy in my sidebar. Thanks for the chance to win. Love the projects. Posted on my blog...not sure about the sidebar thing, sorry! :) Thanks for the chance to win. Im a new follower! I'm a follower of your blog but I don't have a blog to add your address to. I just have to follow and try to learn from your awesome talent. Love your gift card holders. I ordered that die also. Just became a follower and subsriber. I have entered other giveaways for this cart. which I think is fantastic. Lets see if I have better luck with you. Thanks for the chance. I love your little gift holders, Sherrie! 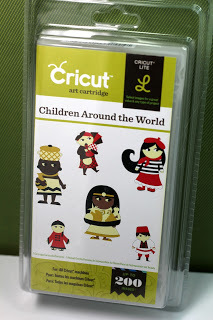 This Cricut cartridge is now on my wish list :) TFS! Cute cards, Sherrie! I love the googly eyes on the snowman, it adds something special! rgauss at sbcglobal dot net. Thanks for the chance to win a great cartridge that I don't have! (BTW, I am already a follower) I posted your giveaway on my facebook status. Ruth Suttie Gauss. rgauss at sbcglobal dot net for public use. I just want to let you know I posted your giveaway on my sidebar. Thanks for your great blog. Just finished posting on my blog about the cart giveaway. I want to win this one so much. Thanks again for the cool giveaway opportunity. Super cute gift card holders! Such a fun giveaway! I have my fingers crossed for this one lol! Posted on my sidebar! Hi Sherrie, I love your gift cards!! Im already a follower. I have added you giveaway on my right sidebar. I posted your giveaway on my blog in the side bar! Super cute cards, great way to give gift cards. What a great giveaway.Great cartridge. I just love the googly eyes on the snowman. I just posted your giveaway on my sidebar. Your GC Holder is so Adorable. Love the googly eyes it and the little elf is adorable. Thank you so much for joining us over at GoFish! Challenge . Hope to see you again. Cute gift card holders!! I'm a follower! Posted your giveaway in my sidebar. Sherrie, I posted your candy on my side-bar, thanks so much for the chance to win! Sweet! I've been trying to figure out how to package a gift card I'm giving my daughter. Thank you SO MUCH for the inspiration!! What a fun cartridge! 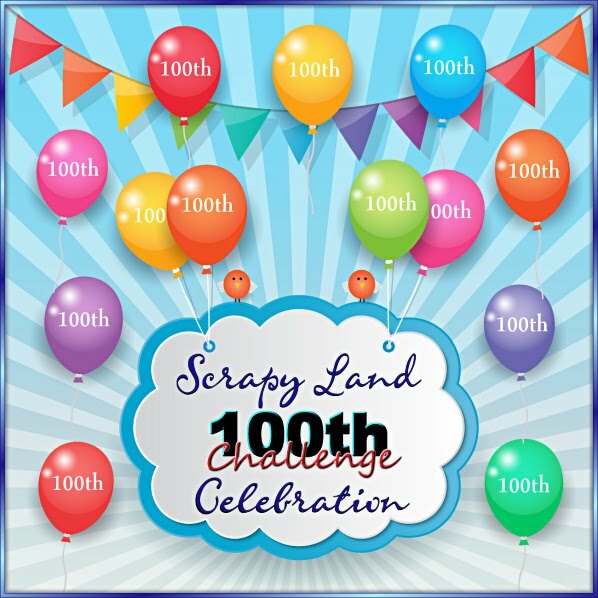 I posted your link and pic on my blog candy page. Love your gift card holders. I have followed your blog for awhile. Love your creations and I have to purchase Emma's die, super cute! I posted your candy on my sidebar! love all of Emma's things...will put this on my wish list! Love these gift card holders I made a few today too. Yours are wonderful I would love to get one and wouldn't care if it was empty inside....will post on my side bar and be back! post your give away on my side bar with a link back to your site! Follow your blog and posted your blog candy on my blog with a link to yours. These are adorable... love the little elf! I am your follower and have posted and linked on my blogs sidebar! Thanks hon for the chance to win! WOW! Your snowman is the cutest thing ever! Winter Frolic is a cart that's been on my wish list for a long time:) Thanks for the chance to win! Of course I'm already a follower - I love your blog! Your gift card holders are adorable, and I do want that die!! I am already a follower, and you are so generous especially at this time of the year. I just posted your giveaway to my sidebar, thank you for the chance eto win. Cute holders! 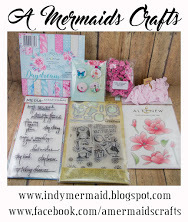 I love the choice of embossing folders you used, they go perfect! What a sweet thing to do right before Christmas! I'll post it on my sidebar right now. Thanks for the opprotunity, I love that cartridge! Me again Sherrie, ok, added it on blog! Hope you're having a great weekend! I like your card holders. I have a few projects using Jolly Holidays. I only wish it had shadows. other than that I like this cartridge. New follower! I would love to win this cart! Oh, how I hope I am not too late. I have been on a mini vacation and am trying to catch up on ALL the fabulous projects. I am so eager to go craft shopping and create. LOVE your project as always. I'm trying to catch up too, you've been busy creating so many pretty things. Merry Christmas to you and your family. Better late then never and hope this goes though this time. I posted notice to my sidebar and I'm a follower of your blog. These are so cute! I especially like the little elf - and his fabulous buttons! Great job!